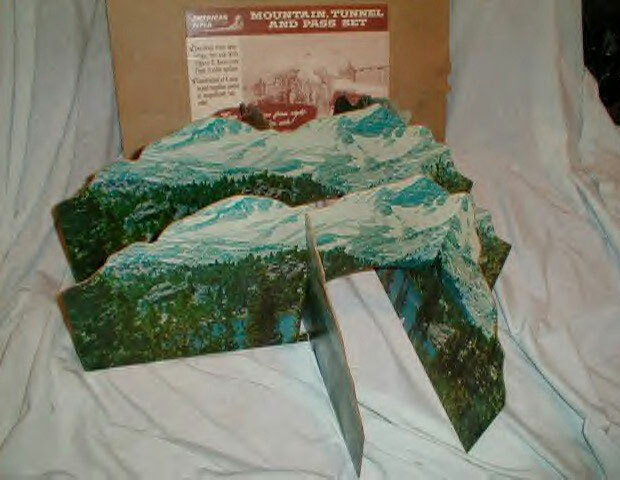 #753 Mountain, Tunnel, and Pass Set made in 1960. Here it is with part of the #747 Figure-8 Trestle Set and Frontiersman train. It came in the #20558 Truscott Set with the similar #770 cardboard Trestle Set. 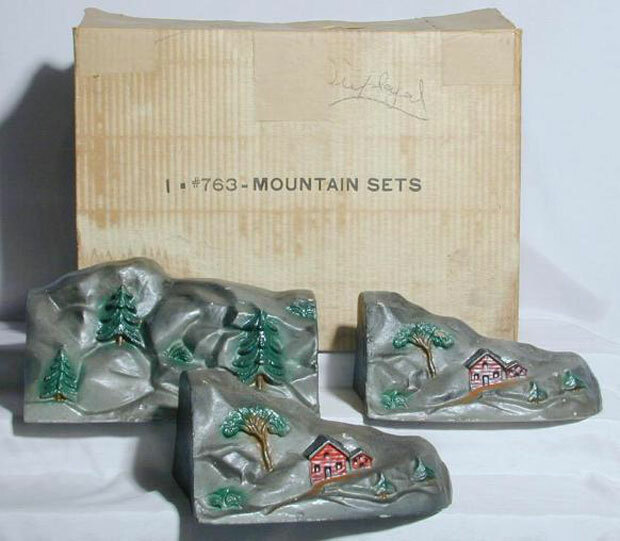 #763 three-section Mountain Set of molded composition material made in 1949 thru 1950.
made in 1953 thru 1956. The #790 Trainorama was made only in 1953. 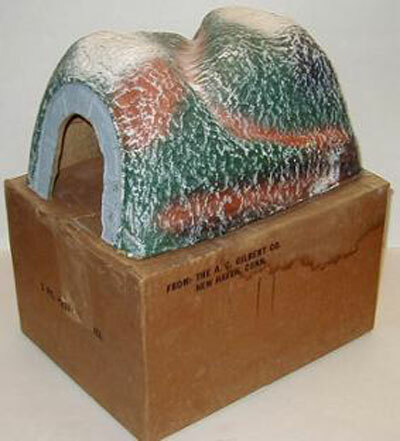 It is a 9-foot long scenic diarama depicting the hills of New England, generic mountains, and rolling green hills of the South. It is designed to wrap around one side of a train layout. Because it is so long, this is just one end; click the picture to see the whole set and close-ups. 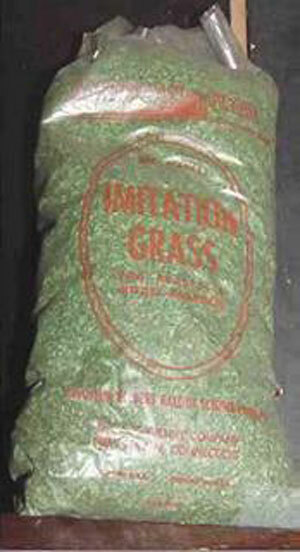 #23021 Imitation Grass made in 1957 thru 1959. #23022 Scenery Gravel made in 1957 thru 1959. 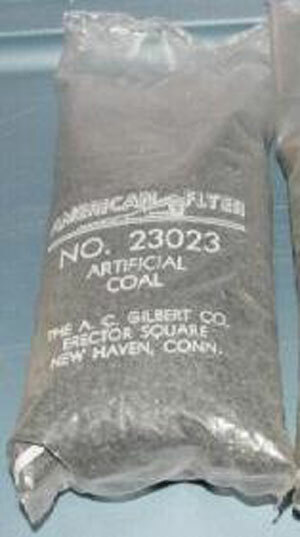 #23023 Imitation Coal made in 1957 thru 1959. 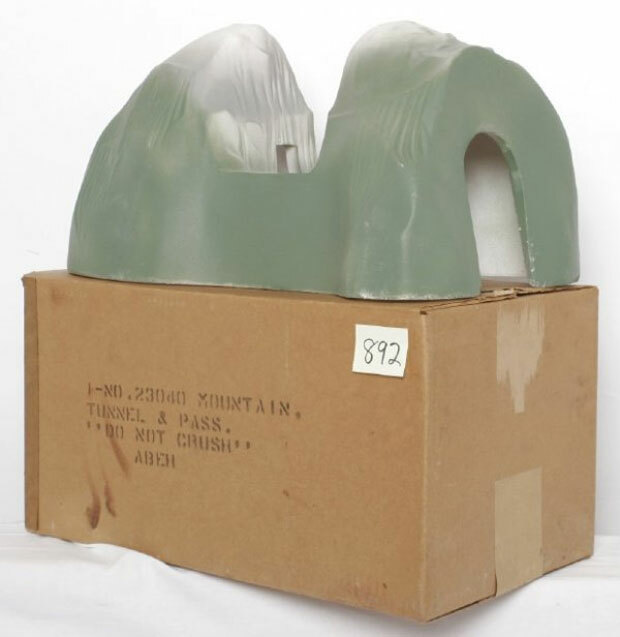 The extremely rare #23040 Mountain, Tunnel, and Pass made in 1958. #23249 Tunnel, the 5-digit version of #249 made in 1957 thru 1964. 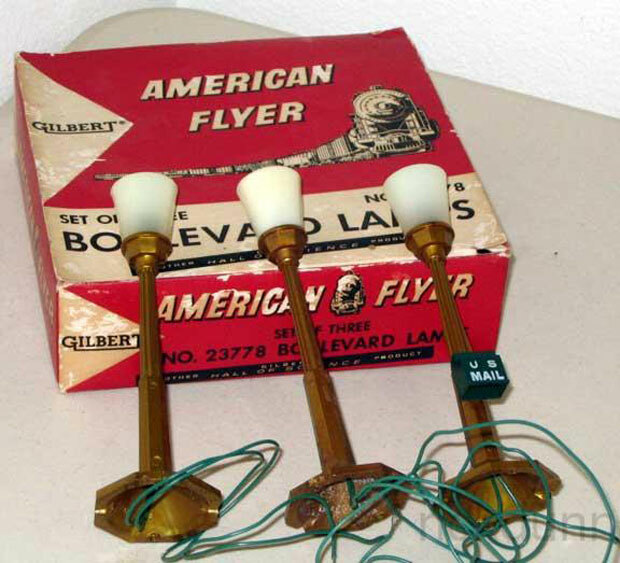 #23778 Street Lamp Set, the 5-digit version of #778 made in 1957 thru 1964. Show me the rest of the Landscape Accessories.